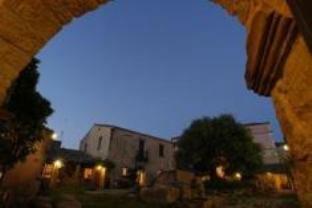 The Omu Axiu Hotel is perfectly located for both business and leisure guests to Orroli. All hotel's guestrooms have all the conveniences expected in a hotel in its class to suit guests' utmost comforts. In-room facilities include non smoking rooms, television, shower, balcony/terrace. Guests can experience the high standards of comfort while staying at this luxury Orroli hotel with everything they need right on the site such as elevator, bar/pub, restaurant, disabled facilities, tours, bicycle rental, car park. This hotel is characterized by a combination of modern comfort and traditional element of Orroli, making it a distinct accommodation. To make your reservation at the Omu Axiu Hotel via our secure online booking form, please submit your visit dates.